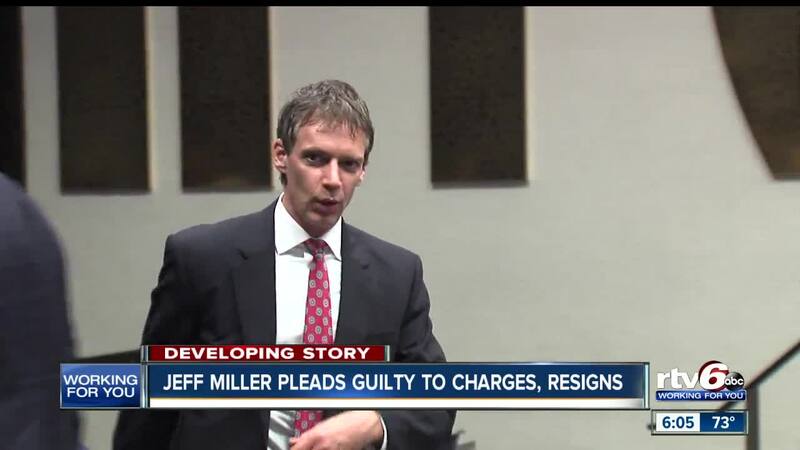 INDIANAPOLIS -- Jeff Miller has issued a public apology after resigning from the Indianapolis City-County Council and pleading guilty in connection with allegations that he inappropriately touched children. Miller had been charged with three counts of child molesting. Those counts were dropped, and he pleaded guilty to four new counts of battery on an individual under age 14, according to Hendricks County Superior Court 4. As part of his plea agreement, Miller will receive nearly four years of probation. He's also required to complete a psychological evaluation and attend counseling and he's ordered not to live within one mile of the victims or have any contact with them. 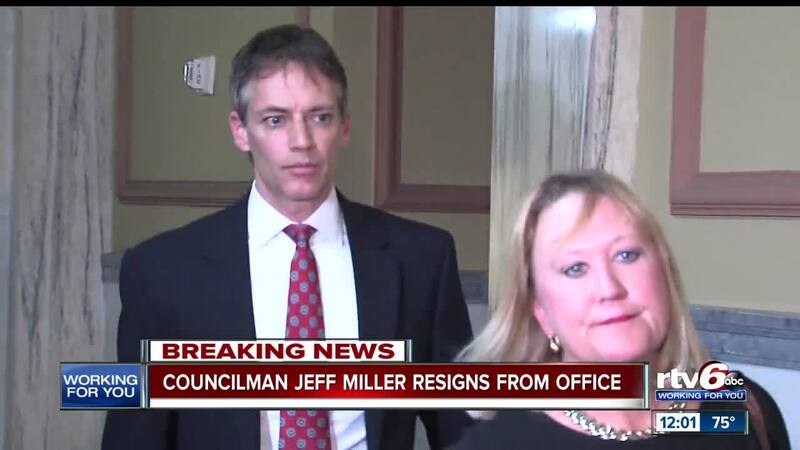 Miller also resigned from the City-County Council in a letter to the council. "It has been a great privilege to serve my community, neighbors and all the residents of Council District 16," the letter read. "I have truly enjoyed working with you, my fellow councilors and the fantastic staff of the council office." Miller also issued a statement following his plea, in which he explained his reasoning for accepting the deal and apologized to the victims for his actions which he called "unintentional" but "unwelcomed." "As many have likely seen, I entered a guilty plea today to “rude touch”, which is a lesser form of battery and I resigned my council position. I feel this plea, offered by the special prosecutor, is fair and just. My actions, while unintentional, were unwelcomed. I am terribly sorry for the impact this has had directly on those involved and indirectly on the community as a whole. A new council representative will be appointed in the next 30 days to represent the district, and in the meantime I will be happy to continue to help address concerns facing the district as well as complete issues in progress. I can’t thank you all enough for your support of me in the 2011 and 2015 elections and in all the days in between. My goal has always been to give you a voice and to fight with dogged determination to address the quality of life issues you have faced. It has been one of the most amazing experiences of my life and I will treasure it for years to come." Miller represented District 16, the near southeast, south and southwest sides of Indianapolis. The investigation began last year when a 10-year-old girl came forward, claiming Miller had massaged her and made her uncomfortable on more than one occasion, according to a probable cause affidavit. According to the affidavit, the young girl told investigators that when she would spend time at Miller's home he would use massagers from his "basket of massagers" to massage her and other children who visited the home. Councilor Jared Evans who serves District 22 says he offers no excuses for Miller's actions, but he says the city of Indianapolis is losing a great servant. "Only Councilor Miller knows in his heart where he was going with this and what he did, but I can tell you from the city council perspective it's sad for us. We're losing one of our better servants, one of our better councilors who actually tried to address issues," said District 22 Councilor Jared Evans. "Not defending someone if they're guilty, but just from a council perspective it's sad for us, we're losing one of our better councilors."